Mrs Dixon already had a level access shower installed when she made contact with us. She explained that as a wheelchair user she was struggling to prepare and cook meals in her home and wanted a solution to resolve this. 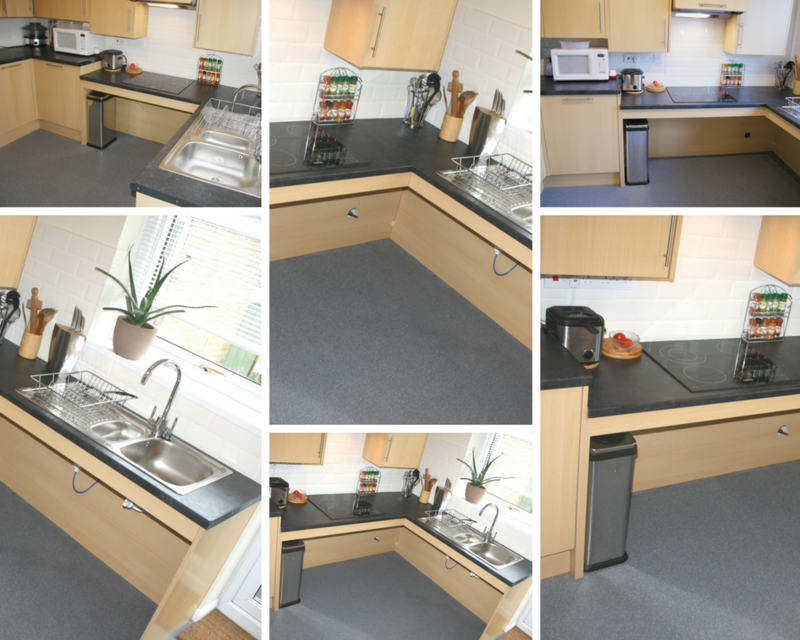 With the help of a Disabled Facility Grant from Tendring District Council we were able to prepare a scheme to replace her old kitchen with a new inclusive kitchen from specialist manufacturers Howdens. The kitchen included a low level sink and food preparation area, easy access base cupboards and wall cupboards and an oven with a bottom opening door that helps users remove hot items safely when cooking from a wheelchair. When the kitchen was completed, Mrs Dixon baked a special cake which she presented to Trinity and Howdens staff who helped manage her project. An Easy Access Kitchen is available for viewing at our showroom near Blackmore Essex.